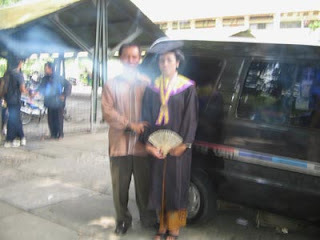 MostCreepy.com - In the photo of the UNS (Indonesia) Graduation event, there is a sighting that is blocking the camera. This sighting makes the image less clear. The sighting this time was in the form of white smoke covering the photo taken during the graduation ceremony at the UNS. But some people also believe that it is a ghost. But this sighting effect can occur due to interference from camera effects. It may be that the sighting that happened was just the result of an edited picture.